The SwitchbackTM is a unique part of the the Harley-Davidson® Dyna lineup. It’s a super versatile bike that’s just as easy to load up for a long tour as it is to strip down and cruise around the city. Whatever you do with it, the SwitchbackTM provides enough classic bobber style and high tech contemporary features to keep you safe and comfortable wherever you ride. The SwitchbackTM uses the powerful and durable Twin Cam 103TM engine to provide all the power you’ll ever need. 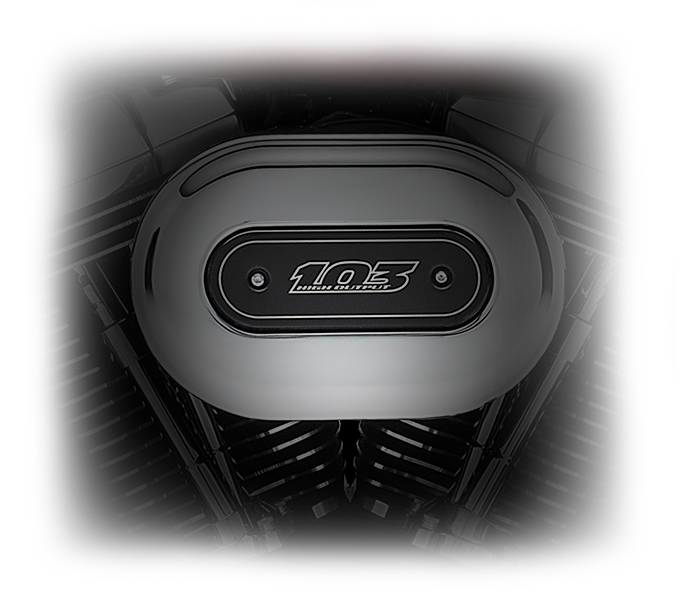 High Output Twin Cam 103TM Engine: This Twin Cam 103TM V-Twin follows the tradition of the Panhead, Flathead, and Shovelhead engines, so you know it’s got the kind of durability that Harley-Davidson® built its reputation on. It’s also thoroughly modern with all the latest engineering features. High Output Twin Cam 103TM Engine Power: The air-cooled High Output Twin Cam 103TM Engine pumps out a huge amount of low end torque, so you’ll never feel lacking for power. That has the added benefit of providing low RPM highway cruising. 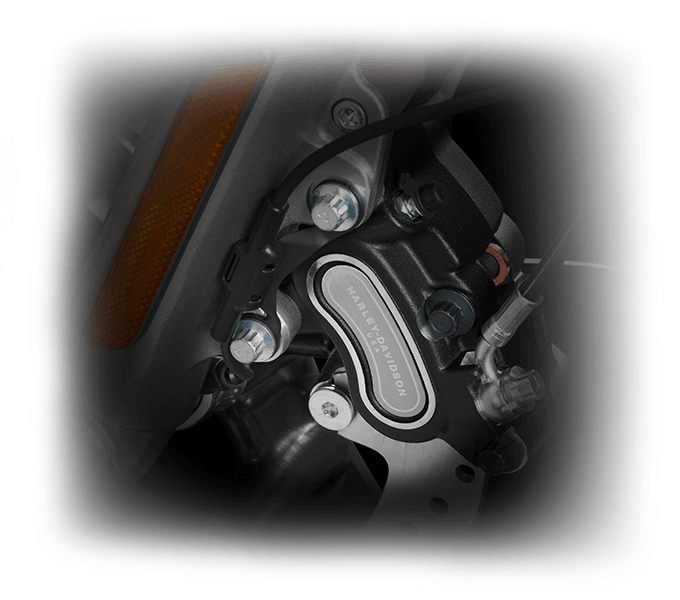 High Output Twin Cam 103TM Engine Innovation: With electronic fuel injection and lightweight alloy pistons, the Twin Cam provides power, efficiency, and reliability. 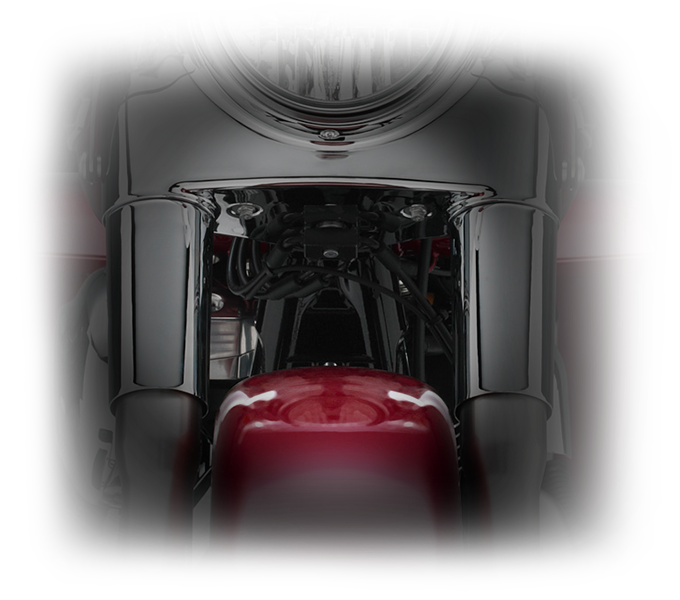 Pure Harley-Davidson Styling: Black powder coated heads are framed by machined cooling fin tips, chrome rocker covers, and a chrome air filter cover. 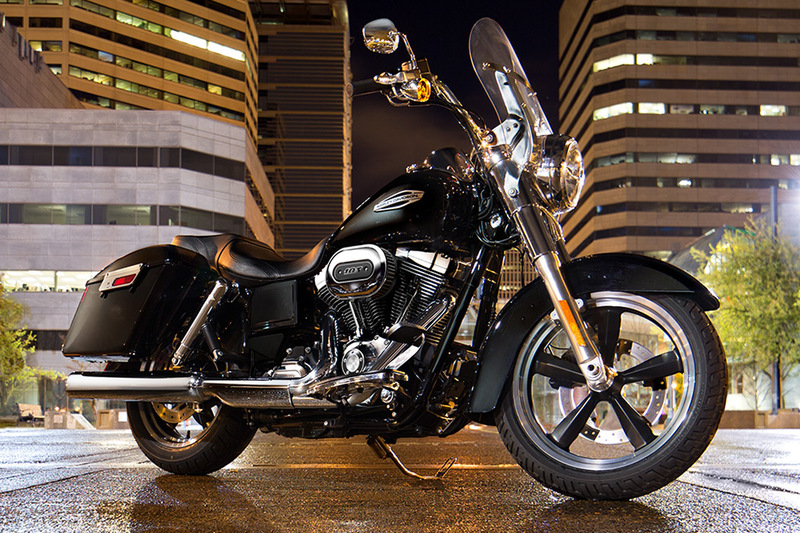 Its head-turning power plant will no doubt get you compliments wherever you go. Six-Speed Cruise Drive® Transmission: The smooth shifting six-speed transmission is the perfect companion to the Twin Cam. It’s a pleasure to slip through the gears and get up to speed, or kick it back into fifth to motor past a big rig on the freeway. 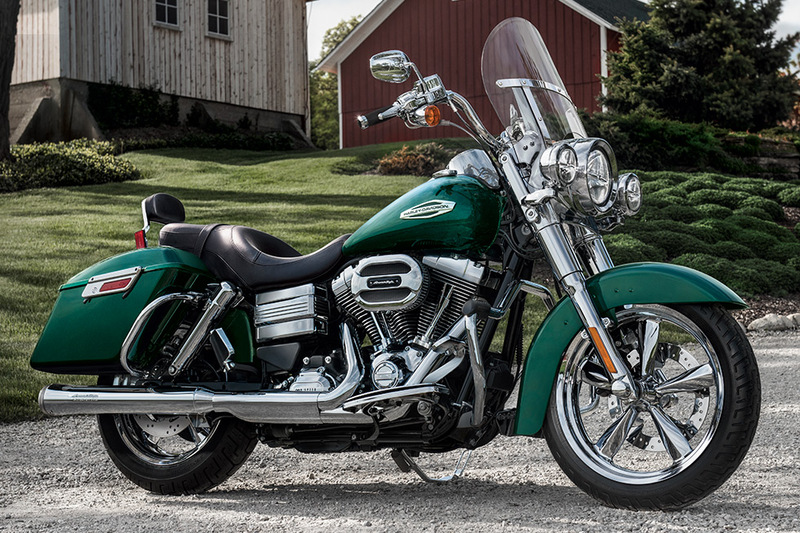 The SwitchbackTM delivers classic styling with modern comfort. 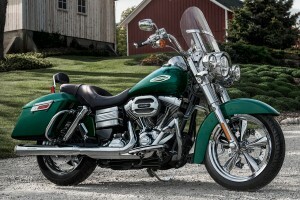 It’s the perfect bike for long or short rides. Cartridge-Style Front Fork: This cartridge style fork on the SwitchbackTM delivers damping that helps you ride comfortably and confidently, while still keeping the wheel glued to the road on rough or choppy surfaces. 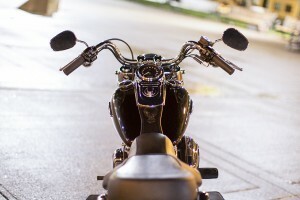 Adjustable Cigar Tube Rear Shocks: Grab a wrench and set up the rear shock to provide the level of cushion or firmness that best suits any ride. Set it up softer if you’re riding solo with no gear, or firmer if you’re riding two-up and you’re loaded with gear. 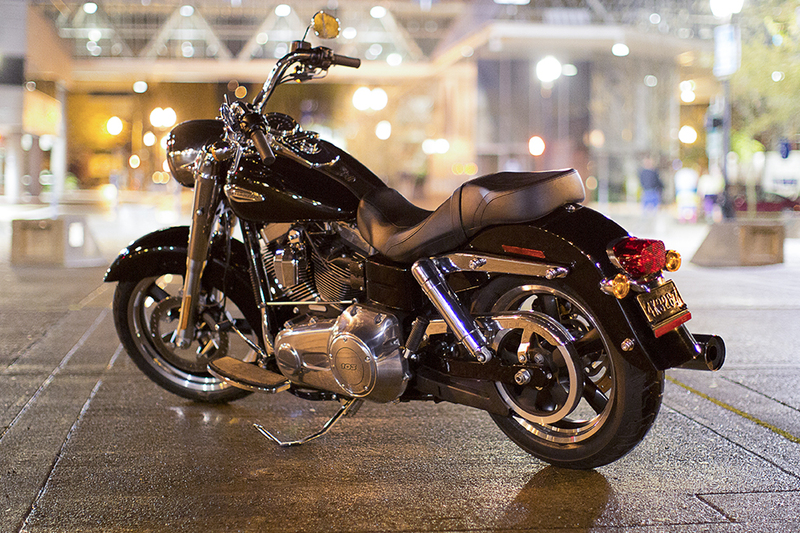 Light Weight Chassis: The SwitchbackTM is designed on the Dyna® platform, making it lightweight, nimble, and easy to maneuver. 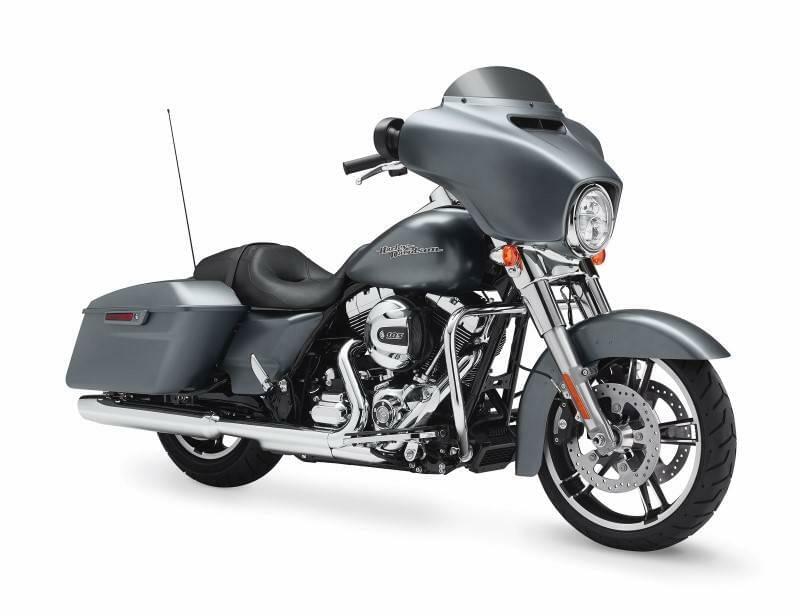 The Harley-Davidson® SwitchbackTM is a stylish, light duty bagger that easily strips down for a minimal cruiser look. 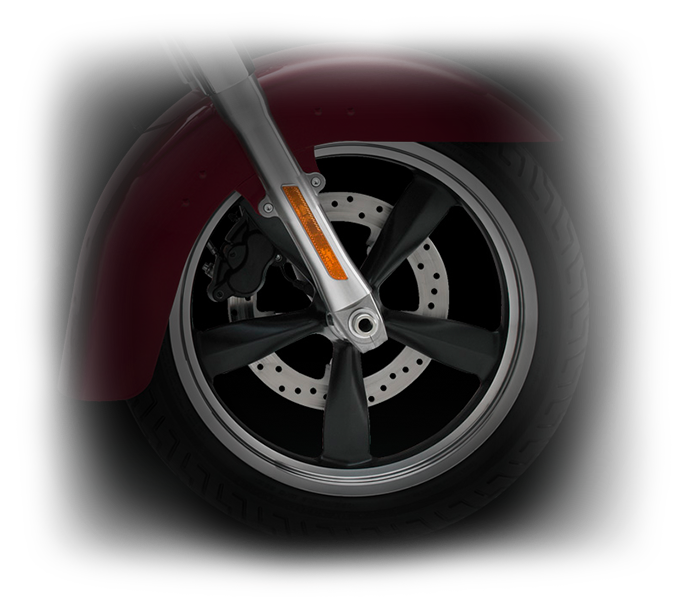 Cast Aluminum Wheels with Full Wrap Fenders: The cast aluminum 5-spoke hot-rod wheels are wrapped with the fenders you need for any adventure. Plus, those big fenders keep road grime and rain off you and your gear. 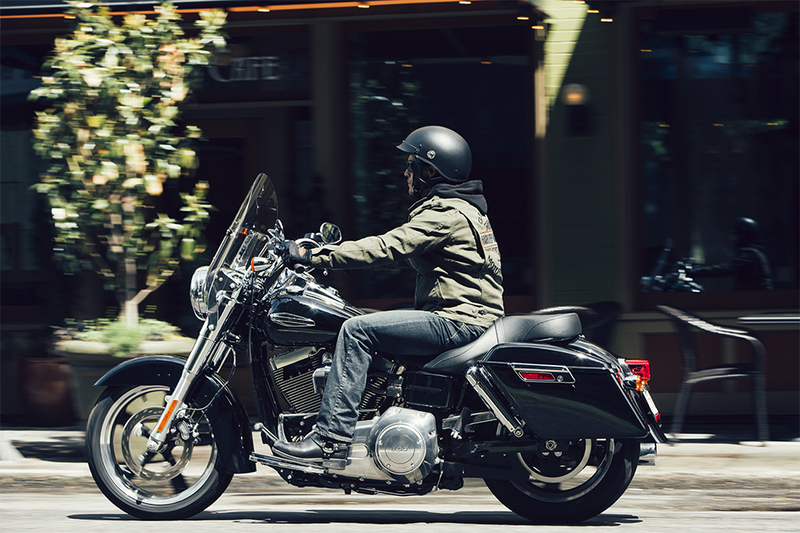 Convertible Features, Classic Styling: Removable windshield and saddlebags make the SwitchbackTM the perfect one-bike stable. 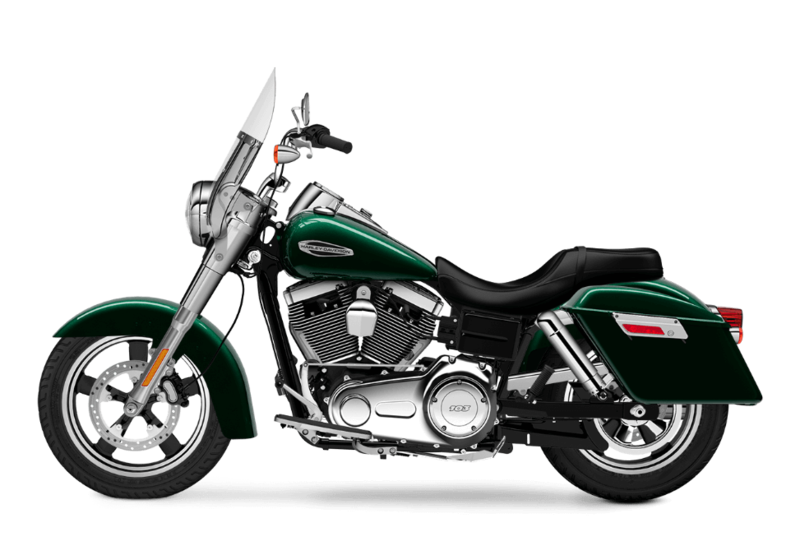 They’re easily switched out, so you can hit the open road for a few hours or for a few weeks. 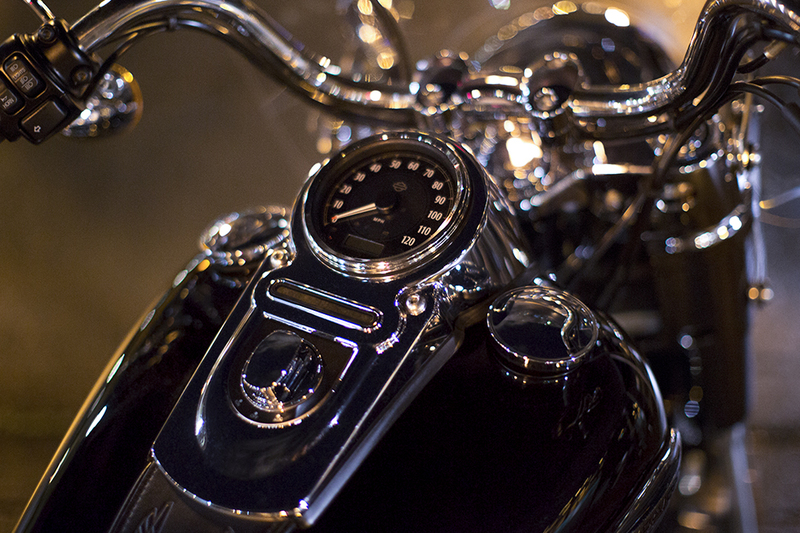 Heritage Detailing: The SwitchbackTM delivers classic features like the mini ape-hanger handlebars, chrome headlamp nacelle, and tank mounted console with 5-inch gauges. Despite its classic looks, the SwitchbackTM provides some of the latest features to keep you safe and secure. 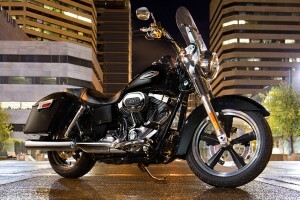 H-D® Smart Security System (Optional): When you step away from your bike, do you want anybody to mess with it? 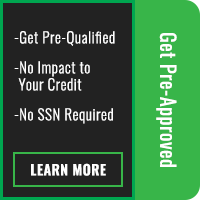 Stop that from happening with this wireless security system. It automatically activates when you leave the bike thanks to the wireless keyfob. 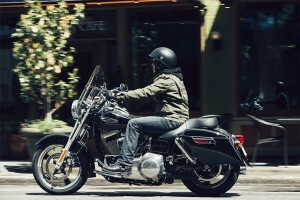 Standard Anti-Lock Brakes: The low-profile anti-lock brake system doesn’t compromise the look of your bike, but it does provide more stopping power and confidence in questionable road conditions. 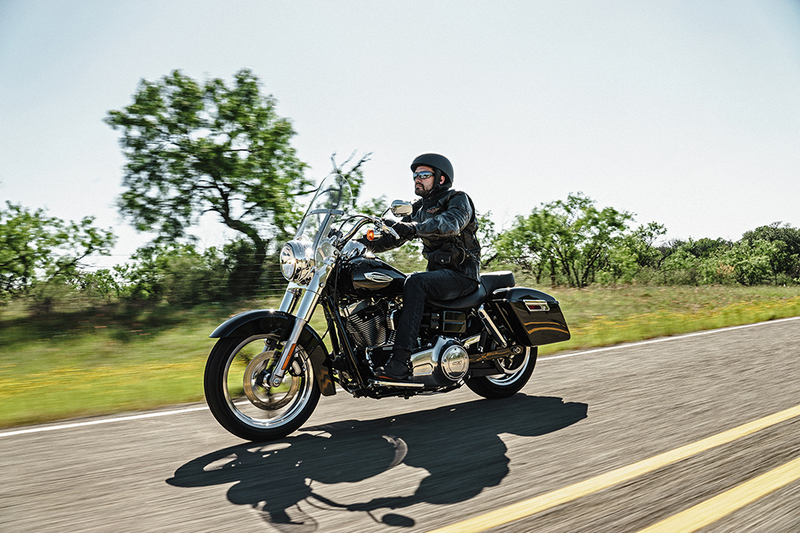 This is a standard feature you’ll appreciate when you’ve got to slow down in a hurry. 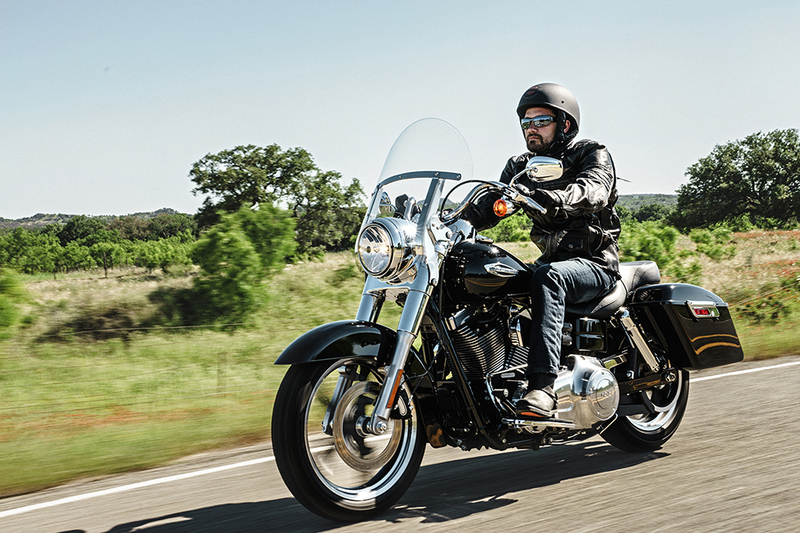 The SwitchbackTM is perfect for both touring duty and casual weekend cruising because of its outstanding comfort features. 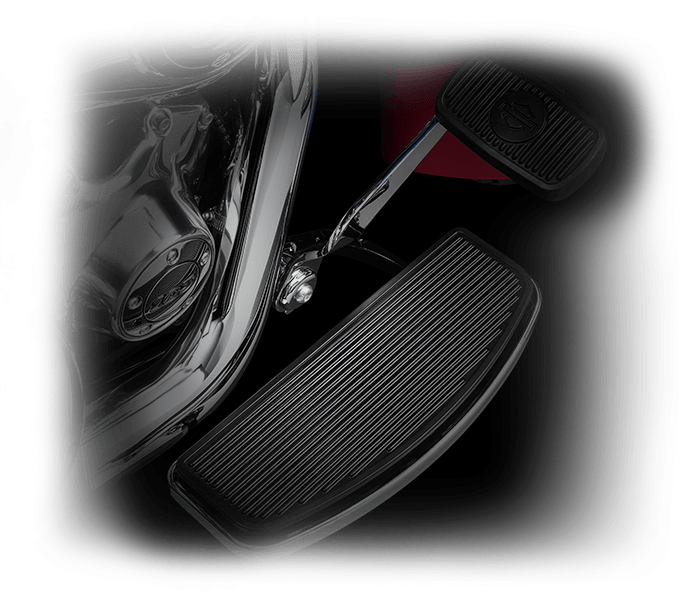 Full-Length Rider Footboards: With full length floor boards, you’ll find comfort for the longest rides, and with rubber isolation, you don’t have to feel every little bump in the road. Two-Up Seat: The deeply contoured, narrow-necked bucket provides long-haul comfort for both rider and passenger. Advanced ergonomics reduces pressure points and provides plenty of support, while the premium hand stitched details look great. 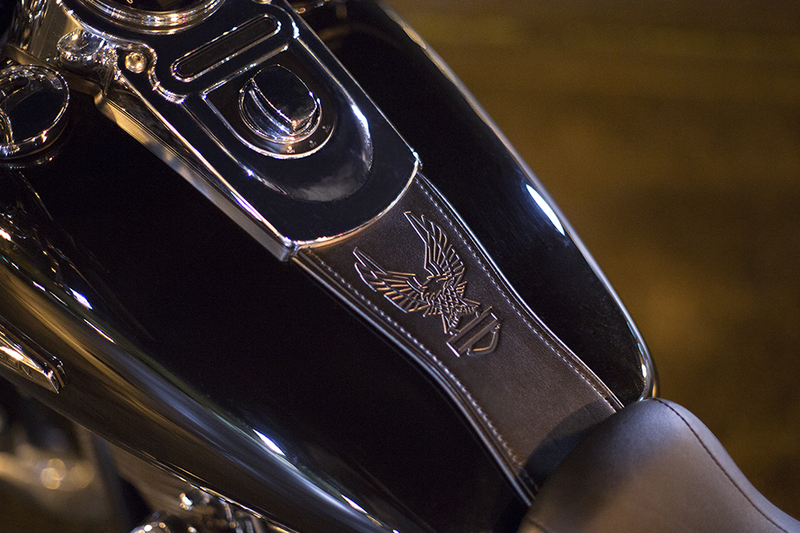 Clean H-D® DetachablesTM Saddlebags: The SwitchbackTM comes standard with hard-case bags that easily seal and lock, allowing you to keep your gear safe and dry. They’re also just as easy to take off, so you can ride without them when you want. H-D® DetachablesTM Windshield: With a detachable windshield, you’ve got the option of switching from stripped down cruising mode or a more comfortable touring setup. 2-into-1 Exhaust: This classic chrome two-into-one exhaust delivers good looks, performance, and the authentic exhaust note you love.